The City of Dallas presents the 4th annual City Fest on April 27th from 6-10p. Gates open at 6p. The Will Sam Band at 6:30p. 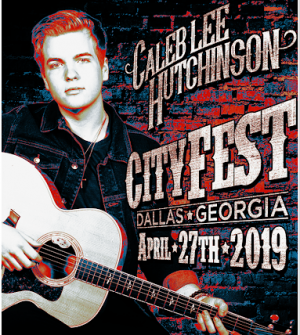 Caleb Lee Hutchinson at 8p. Food trucks and concessions on site. NO COOLERS.